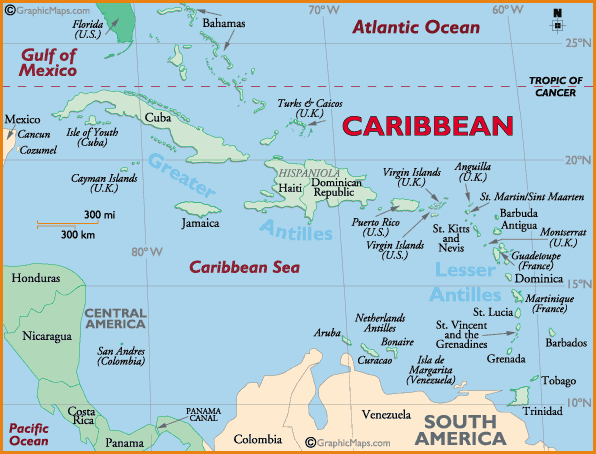 The Leeward Islands are the older of the Caribbean Island chain known as the Lesser Antilles that stretch in an arc from the U.S. Virgins to South America. Formed from volcanic and tectonic action some 20 to 30 million years ago, they created a variety of landscapes, tropical growth, bays and beaches unmatched anywhere, which is perfect for a yacht charter. Just as varied are the histories, nationali-ties, cultures and cuisines one finds there today, a microcosm of the best the world has to offer. These islands were selected for the infinite choices they provide yacht charter vacationerseverything from French chic to delightful Dutch to proper English. The cuisine and restaurants are even more diverse, blending European, American and Asian dishes with Caribbean and Creole, served in elegance or in bare-foot bistros. THE NORTHERN MOST ISLAND in the Leewards, Anguilla, is a long, narrow, flat strip of land that seems to have been created millions of years before the rest of the chain and worn down over time. In the process the erosion has formed miles of the most beautiful pristine white sand beaches and shallows offshore, keeping the turquoise, blue-green waters un-matched in the Caribbean. Offshore islands and surrounding reefs are protected and offer some excellent diving aboard a Caribbean yacht charter. It is only natural that some of the world’s most exclusive resorts would build on the bluffs overlooking these uncluttered shorelines. Their chefs are world renowned, creating dishes with International flair. Other restaurants offer more native fare like Anguillian lobster, local lamb baked in a 200 year-old stone oven, or conch fritters served in a beachfront bar. This island provides visitors with a variety of cuisine, beautiful secluded beaches, thoughtful and courteous Anguillians and tranquillity that makes it an ideal Caribbean hideaway. WITH OVER 100 SQUARE MILES of land, Antigua reins as the largest and perhaps Southern most island in the Leewards. Now an independent state with neighboring Barbuda, its purely English heritage is evident in every day life. English has been the language since 1632, when it was first claimed for the crown, cars are driven on the left and the islander’s passion for cricket is unmatched anywhere in the Empire. Antigua has a party atmosphere that may have begun with Lord Nelson’s fleet sta-tioned in English Harbour, and is still a Mecca for present day yachtsmen and revelers. This sailor’s paradise is ringed with bays, beautiful reefs and a new beach for each day of the year. Antigua is a favorite island for cruise ships, sun seekers, fishermen and fun lovers. Experience a true Antigua yacht charter. SEPARATED FROM HER SISTER state of St. Kitts by two miles of water, Nevis, although smaller still has a land mass almost equal to St. Martin. The French/Dutch island supports some 60,000 people, while Nevis has a population of only 9,000. It is estimated an equal number of wild Vervet monkeys also thrive on Mt. Nevis and can be observed from nature trails through the rain forest. One elegant International resort has developed here but with great care to harmonize with the environment and life-style. Nevisians are proud and protective of their Caribbean island which has changed little over the centuries. It is the Caribbean as nature intended, for us to enjoy. IN 1492 COLUMBUS NAMED this island after his brother claiming it for Spain, but Carib Indians kept him and others at bay for some 200 years until a group of courageous rebels arrived from France. Today it’s like visiting a French province in an atmosphere that is casual, chic and with old world charm. The only difference is that here the sun shines 365 days a year, trade winds keep the temperature constant and clear blue waters, white sand beaches and tropical foliage make it a super vacation destination. Few places can rival the excellence of cuisine that St. Barts offers on only eight square miles, from gastronomic French to Creole, fresh seafood with light sauces and lobster prepared a hundred ways and served in elegant splendor or in barefoot bars. While it is a favorite of the stars and the rich and famous and Gustavia is lined with luxury yachts, St. Barthians welcome all, sailors, surfers, shoppers and most assuredly the epicurean. TO ENVISION A PERFECT island in the Caribbean one might picture a volcanic range jutting up from the sea with an azure blue surf washing black coral and golden sand beaches. Rimmed with palms, the mountains would be capped by clouds creating rain forests and green valleys below. This could well be St. Kitts, which offers even more for visitors to their populated but unspoilt island. The history of this former British colony is based on sugar and miles and miles of cane still produce the principal crop. Today the old plantation homes and sugar mills provide luxurious guest quarters and cuisine flavored by the past. Restaurants offer continental menus with accents on local fare like bread-fruit or christophine and in settings with wide vistas of untouched coast lines One may hike to the peaks amid wild monkeys, dive on near shore reefs, golf, play tennis or relive island history. St. Kitts offers the best of worlds, both past and present for your yacht charter. SAINT MARTIN/SINT MAARTEN provides vacationers the opportunity to enjoy three distinct cultures on one 37 square mile island. There’s the delightfulness and soberness of the Dutch on one side, the savoir-faire of the French on the other, and the blending of both with exotic native heritage. Add dozens of beaches and lagoons, luxury hotels, elegant villas, and over 200 restaurants and you may understand why St.Martin is the most visited of all the Leewards. All the great chefs, European, American, or Asian vie to compete in this gourmet capital of the Caribbean, creating cuisines equal to the best of Paris or New York. Shopping on the island is duty free and casinos, discos and night clubs stay open till dawn. Jumbo jets from world centers land here and charters allow visits to the smaller Leewards.